Today was Day #4 of Chocolate and Cashew Theme Week. Today's "Just a handful of Simply Almonds, Cashews and Chocolate Trek Mix" from Trader Joe's (Monrovia, CA), helped power my day. 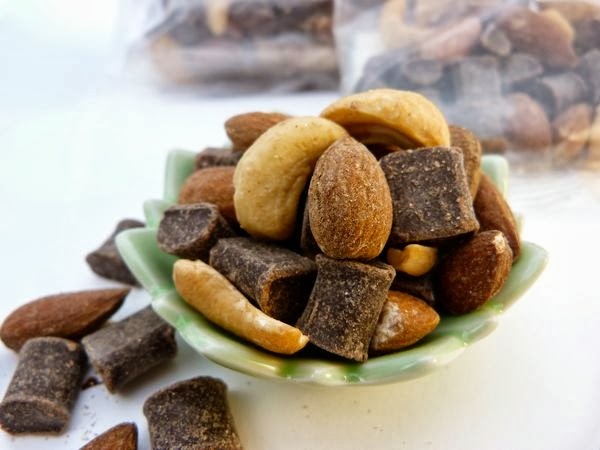 Nuts and chocolate are natural bedfellows when it comes to trail mix, or in today's case -- trek mix. I happen to be a hiker, so I'm fond of packing a small bag of trail mix when I depart on a day trek, photo safari, or just a local amble around town.